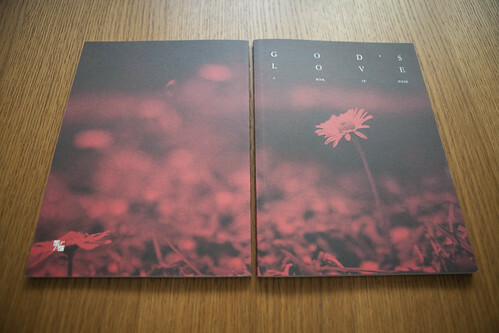 We ended 2011 in the best way possible - a book of poems and photographs for Adam Road Presbyterian Centre that would help encourage and uplift those who are needing encouragement. After discussing with the client, we agreed that a starting point was to feature one of the photographs contributed by the church members, and to incorporate the colour red, symbolising Christ's sacrifice and love. We wanted to create a book that would be beautiful and accessible, yet would stand out despite its quiet simplicity. An image of a single flower seemed to fit the bill, reminding us of God's attention to even the smallest of creation. But we washed the image completely in red, to push a seemingly unassuming image to its bold, visual extreme. 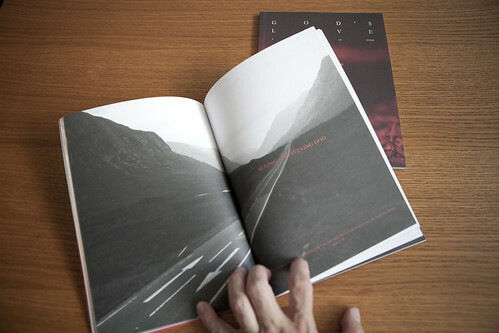 In designing the layout of the book, our priority was to create space for the reader to rest and linger on each page.